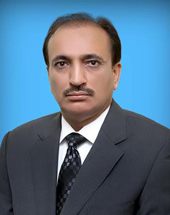 The Chairman ABAD, M. Anwar Gagai said in a statement that Governor Sindh Dr. Ishrat Ul Ebad Khan’s departure had created a situation of uncertainty and doubt in the business community in general and in the builders’ community in particular. His presence as Governor of Sindh had always given a sense of protection to builders and developers as he had always lent a helping hand in any adverse situation. Association of Builders And Developers of Pakistan profoundly appreciates the much needed advice by Altaf Bhai to the Honourable Governor Sindh to retract his resignation and resume his duties. This is a very positive sign in the prevailing situation. We welcome Honourable Governor and express our full support to him.